Tuuli Lappalainen is a Junior Investigator and Core Member at the New York Genome Center. She holds a joint appointment as a tenure-track assistant professor in the Department of Systems Biology at Columbia University. Her research focuses on functional genetic variation in human populations and its contribution to traits and diseases. She has pioneered the intergration of large-scale genome and transcriptome sequencing data to understand how genetic variation affects gene expression, providing insight to cellular mechanisms underlying genetic risk for disease. 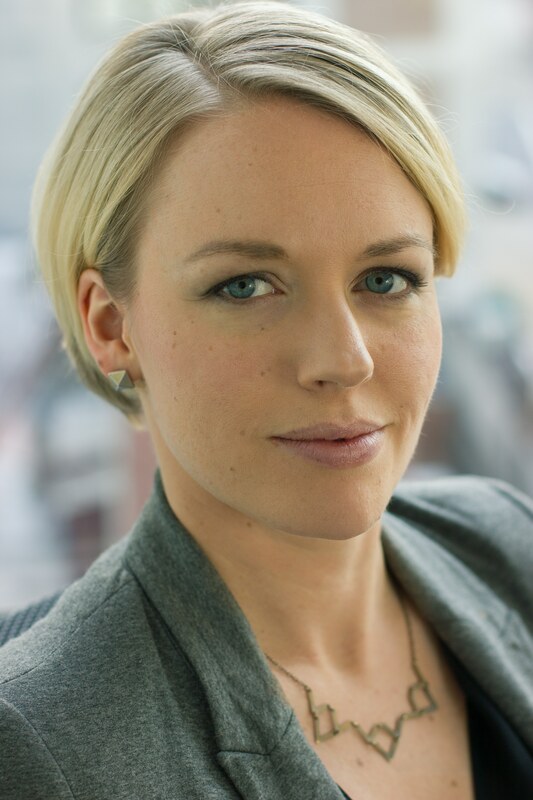 Tuuli received her PhD from University of Helsinki, Finland in 2009, followed by postdoctoral research at University of Geneva, Switzerland with Manolis Dermitzakis and at Stanford University with Carlos Bustamante. She has made an important contribution to several international research consortia in human genomics, including the Genotype Tissue Expression (GTEx) Project, the 1000 Genomes Project and led the RNA-sequencing work of the Geuvadis Consortium. Stephane joined the Lappalainen Lab as a postdoc at the end of 2014. He’s interested in understanding how non-coding genetic variation contributes to human traits by integrating the genome and transcriptome. He has focused on leveraging allelic expression data to quantify regulatory variation within individuals. In 2018 he received a K99 to support his work to characterize genetic, longitudinal, and developmental effects on the transcriptome using a novel non-invasive RNA-sequencing method. Stephane completed his PhD at Cold Spring Harbor Laboratory studying RNA interference mediated gene regulation in Robert Martienssen’s Lab. He completed his BSc in Molecular Biology and Genetics at the University of Guelph in Canada and is a native of Toronto. Sarah Kim-Hellmuth has been a Postdoctoral Research Scientist in the Lappalainen lab since 2015. She is interested in human genetic variation and its effects on cellular functions linked to infectious and autoimmune disease. Sarah studied Medicine in Munich, Germany and obtained her doctoral degree in Immunology in Veit Hornung’s lab, focusing on the recognition of microbial DNA by pattern recognition receptors. 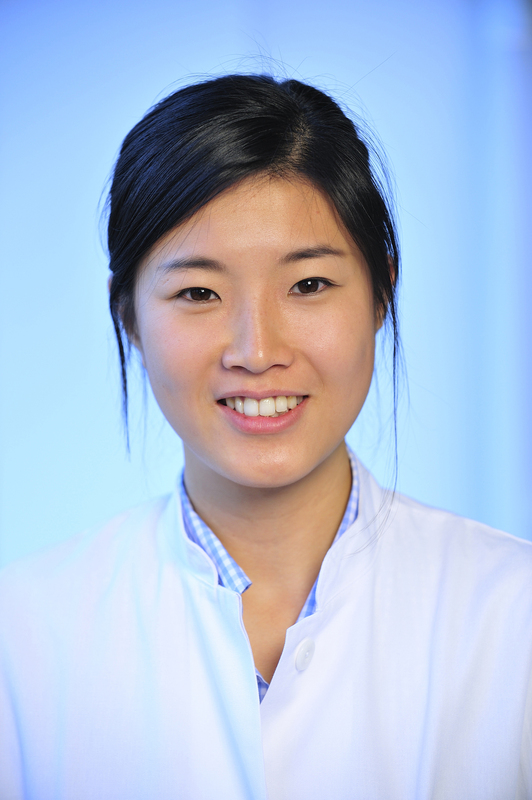 During her residency in Human Genetics at the University of Bonn she pursued her research interest both in immunology and human genetics by investigating expression quantitative trait loci (eQTLs), which underpin innate immune responses, and provide mechanistic insights to complement genome-wide association studies. Silva Kasela is a postdoctoral research associate in the Lappalainen lab. She is interested in using and developing statistical methods to understand the genetic architecture of human phenotypes and diseases. Silva studied mathematical statistics at the University of Tartu, Estonia. As a PhD student, she joined the Estonian Genome Center at the University of Tartu to integrate her interest in both statistics and biology. She obtained her PhD in molecular biomedicine from University of Tartu studying the genetic regulation of gene expression. Dafni joined the Lappalainen lab as a Postdoctoral Researcher at the end of 2018. She is interested in the contribution of coding and non-coding variants on the molecular mechanisms which define human traits, with a focus on diseases. Originally from Greece and Belgium, Dafni obtained her BSc in Biology and her MRes in Systems and Synthetic Biology from Imperial College London. During her MRes she investigated gene expression patterns that can arise from stochasticity. She completed her PhD at the Wellcome Sanger Institute under the supervision of Gosia Trynka. Her research focussed on the human gene regulatory landscape of T cells, studying the impact of non-coding variants on immune processes. Margot is a graduate student in the lab from the Integrated Program in Cellular, Molecular and Biomedical Sciences at Columbia University. Before coming to Columbia she worked as a technician in Leonard Zon’s lab at Harvard Medical School using zebrafish as a model for investigating the molecular mechanisms of hematopoietic stem cell differentiation and self renewal. She earned her bachelor’s degree in biology from Wake Forest University where she did research in evolutionary genetics. 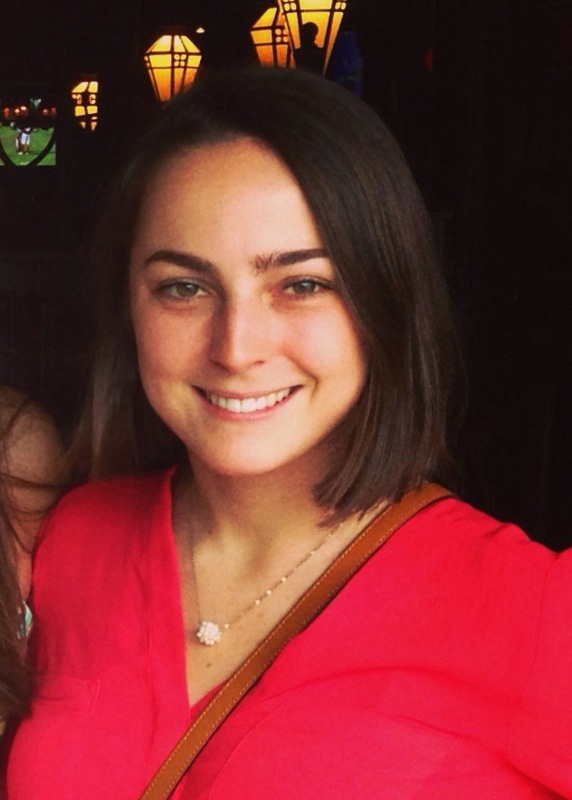 Elise is a PhD student in the Systems Biology Program at Columbia University. She is interested in integrating -omics and other biological data to understand how perturbations in the genome and cell environment affect phenotype and disease. As a post-baccalaureate fellow with the NIH Undiagnosed Diseases Program, Elise researched and developed bioinformatic methods to study rare diseases. She earned her bachelor’s degree in biochemistry at St. Mary’s College of Maryland, where she did research in behavioral neuroscience. Outside of the lab, Elise is the Social Outreach chair of the Women in Science at Columbia group and the co-director of the Science Matters Research Internship program. Jonah is a graduate student rostered in the Department of Biomedical Informatics at Columbia University. He is interested in developing computational tools for analyzing gene expression data derived from next-generation sequencing technologies. Jonah completed his bachelor’s at the University of Massachusetts Amherst, where earned dual degrees in Biochemistry and Statistics. While at UMass, he studied microbial community ecology in food processing systems, and epigenetic predictors of breast cancer. Molly is an MD/PhD student in the Integrated Program in Cellular, Molecular and Biomedical Sciences at Columbia University. She is interested in studying how non-coding variants and environmental exposures affect the transcriptome and how this, in turn, affects disease risk and phenotype. Prior to joining the lab, Molly worked as a technician in Christopher Deppmann’s lab at UVA studying exosomal signaling during neurodevelopment. She earned her bachelor’s degree from Oberlin College in Biochemistry and Neuroscience. During her undergraduate years, Molly studied neuroprotective effects of estrogen in a schizophrenic rat model, and researched key regulators of receptor recycling in memory formation. Marcello is responsible for running our wetlab. Before joining the lab he was Associate Research Scientist at the Huston Merrit Center at Columbia University studying genetics and molecular basis of mitochondrial diseases. He obtained his PhD from Bologna University, Italy. He focused his scientific activity on the study of cell competition, a homeostatic cell communication mechanism that leads to the elimination of unfit and potentially malignant cells. In 2011 he moved to New York City as a postdoc at Columbia University to study the genetics and metabolic requirements of cell competition and the role of mitochondria in that. Paul is a bioinformatics analyst, shared jointly with Rahul Satija’s lab. Before this position, he was a bioinformatics specialist for Peter Morrell at the University of Minnesota Agronomy Department. While there, he worked on finding the physical location of SNP markers on the barley genome, helped identify mutations that are important in cold tolerance in barley, and started asking how different motifs in genomic DNA influence point mutations in soybean. Paul earned his Bachelor’s degree in Microbiology from the University of Minnesota. Alper joined the lab in 2017 to work as a lab technician. He obtained his BS in biology at the University of Arkansas, working in Lirong Zeng’s lab to help determine genes involved in plant innate immunity. He completed his master’s in biotechnology at the University of Pennsylvania, where he worked in Michael Lampson’s lab studying microtubule – kinetochore dynamics during mitosis. There, he used optogenetic techniques to probe the function of mitotic kinases in chromosome segregation. Erica Bertisch is the Executive Assistant for Faculty at the New York Genome Center, working for the Lappalainen and Pickrell labs. Previously, she was Executive Assistant to the President and Chief Executive Officer of The Leukemia & Lymphoma Society and assistant to the Executive Vice President, Founders Affiliate of the American Heart Association. 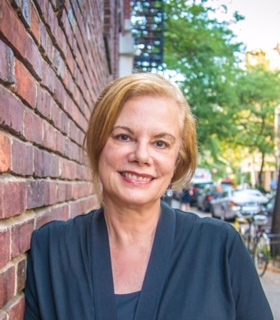 Erica is a graduate of Russell Sage College in Troy, New York, and makes her home in Brooklyn Heights. Ana Vasileva, Senior Staff Scientist (2014-2018). Pejman Mohammadi, Postdoc (2015-2018). Now Assistant Professor at Scripps. Aaron Wolman, Associate Scientist I (2015-2017). Now at Merck.